Get Your Share of the Air! The airwaves are opening! 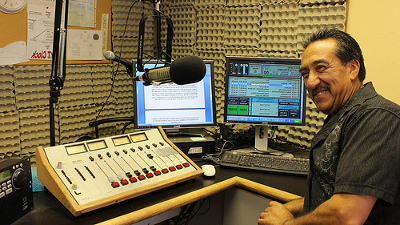 In October 2013, local nonprofits and schools nationwide can apply to start their own community radio stations. What could you do with a radio station? Learn more about low power radio and what it takes to apply for a station. Prometheus provides a wide range of support to station applicants who sign up. We offer free online trainings, help guides, channel finding software, and ways to network with other community radio supporters. Sign up to get connected!